In this paper, the discrete element method (DEM) is improved to simulate the strong nonlinear mechanics behavior of beam structures. 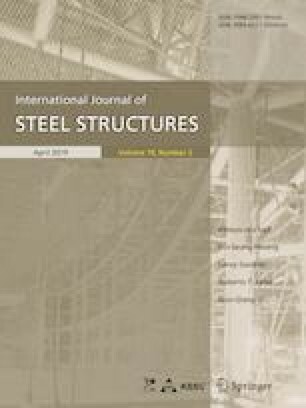 First, the spring stiffness of parallel bond model applied to beam structure is deduced using the principle of energy conservation, and the relationship between spring stiffness and elastic constants is established. Second, the layered beam theory is introduced into the traditional DEM. The yield criteria and the spring stiffness of contact in yield state are deduced, so that the improved DEM can be used to solve the plastic problem of beam structures. Third, the fracture criterion based on the limit strain of material is defined, so that the fracture problem of steel beams can be solved by DEM. Fourth, the force–displacement equations of Hertz model is deduced. Finally, the numerical examples show that the improved DEM can effectively solve the problems of large deformation, plasticity, fracture, contact and collision of beam structures. This research was financial supported by the Fundamental Research Funds for the Central Universities, by the Colleges and Universities in Jiangsu Province Plans to Graduate Research and Innovation (KYLX15_0089), by a project funded by the Priority Academic Program Development of the Jiangsu Higher Education Institutions and by the Natural Science Foundation of China under Grant Numbers 51538002.